The orchestrated maestro of great music, Wyatt K. C. Davis, welcomes you aboard the GOSPEL MIX. This is an entertaining showcase of “top ten” type Jamaican Gospel Music, and contemporary Jamaican-international best sellers, interviews with artistes and concert information; along with testimonies (Blessings Plus Tax), The Business Link, and Shout-outs (greetings). 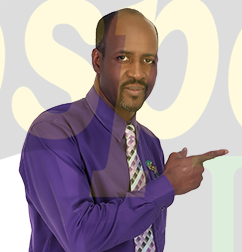 Wyatt, the CEO/Managing Director of Gospel JA fm, is a master of artistic presentations with music beyond compare, selected counselling at its best, and conversation to whet the appetite of listeners. There is never a dull moment in the Mix. This is the moment that brings everyone on a spiritual high that keeps you grooving for the entire weekend.